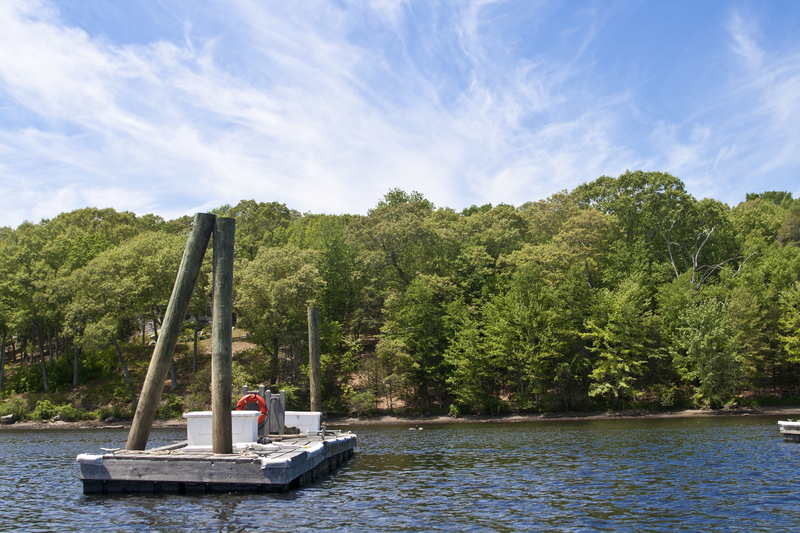 As a marine journalist I read—on a daily basis—about boaters doing some extraordinary things. In fact, at this moment I have e-mail threads going with a couple who are cruising their Nordhavn 40 through the Pacific Northwest, a blogger aboard a Kadey-Krogen bound for Russia and a family of four from Texas that moved aboard their express cruiser to see the world. Despite this seemingly endless dose of inspiration, this past summer I found myself getting sucked into a, well, rather cushy routine. After work I’d hit the gym, make dinner, maybe do laundry or some other chore, and settle into an episode of God-knows-what on Netflix (a service I very much have a love/hate relationship with). I wasn’t being lazy per se, but boring would be a fair descriptor. Boating had become a weekend endeavor for reasons I’m not quite sure of. So, right around the time of our July Mid-Summer Boating Fest, my girlfriend Karen and I (thanks in part to Humphreys’s inspiration) made the conscious decision to make better use of our limited summer schedule and get out on the boat more often. 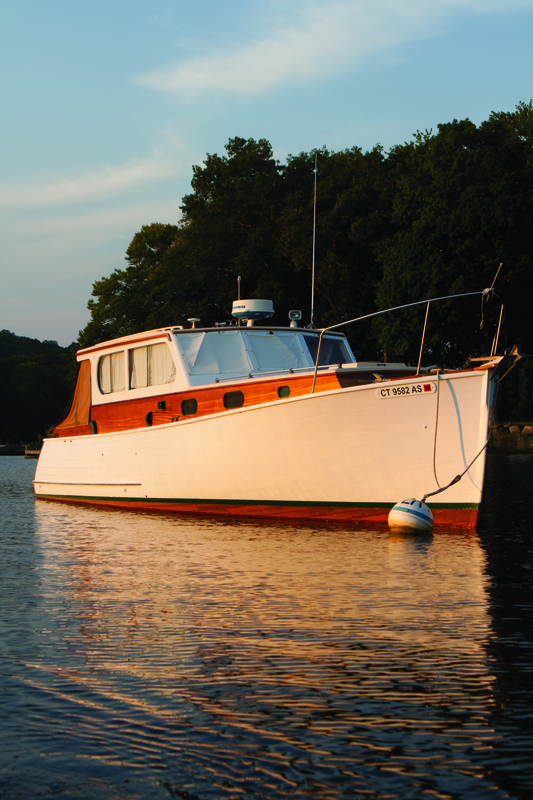 So on one or two weeknights each week we’d head out to our classic old boat resting on a mooring off Essex, Connecticut. We swapped evenings in a crowded gym with sunset swims, reheated dinners for cookouts under the stars, and swapped Netflix episodes for a good book or magazine. We found ourselves falling asleep earlier (something about swimming just knocks us out) and waking up to early morning rays pouring through the forward portlight instead of the blare of an iPhone alarm. Not much of a morning person, I eventually grew to look forward to our 5:00 a.m. dinghy ride to shore. The river can be absolutely still at that time, and the only sound would be the soft mumble from our outboard running just above idle. You know when you’re in for a good day when your morning commute begins with a dinghy ride. Stepping into the office those mornings, I felt as if I were carrying a secret. Relaxed and rejuvenated, it was almost as if I had just returned from a short vacation. In fact, I guess that’s just what it was. The magazine’s July 12th Boating Fest fell at a busy time for Karen and me so we didn’t get to spend the day in an exciting new location like we would have hoped, but knowing that it doesn’t take long before the rejuvenating effects of boating to kick in, we escaped for an evening just up the Connecticut River in the forest-lined Hamburg Cove, a former shipping hub in the early 1800s that today is a popular spot on the river shared by trawler owners, fishermen, and kayakers alike. We grabbed a visitor mooring from Cove Landing marina for $20 and hopped in the dinghy for a leisurely ride up a lazy river. With tall conifer-covered hills on each side it took only a little imagination to feel like we were exploring a stream in Maine. You can tie up to the dinghy dock at the nearby marina and stretch your legs if you like. There is a general store about a mile away and not much else. As dusk began to settle on the cove, the sound of swimming and shrieking kids began to fade; the smell of charred hotdogs wafted atop the calm water as couples sat in their cockpits sipping chilled glasses of white wine. If there is a more peaceful way to spend an evening I’ve not discovered it yet. We’d return to Essex and “real-world” responsibilities early the next day but the positive effects of our short boat trip had sunk in. Our arms seemed to swing more freely at our sides; free from knots and tension as we went about the tasks at hand with the well-rested mind that you only get after spending a night on the hook. I think that’s the point that Humphreys (and our Mid-Summer Boating Fest) is trying to make; you don’t need to leave land for weeks at a time or battle huge seas in order to have an adventure; sometimes the most rewarding, memorable adventures are the ones on a random Sunday night in July. 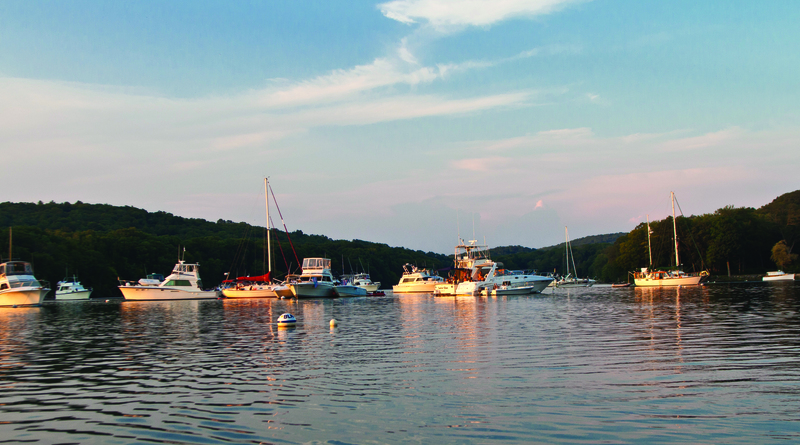 Look for this, and other great stories in the December issue of Power & Motoryacht magazine.